Many people among us are unaware about the stem cell, which has brought up a silent revolution in the field of medicine. The stem cells are widely used to cure almost several life-threatening diseases and has some enormous capabilities and are capable of regenerating the growth and formation of cells in the human immune system. Various functions can be performed with the help of these stem cells. 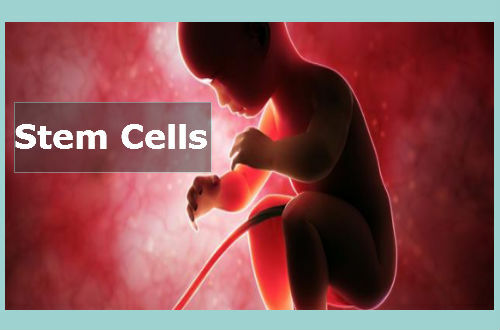 Let us now have a look on What is a Stem Cell in this article and some characteristics which makes stem cells so vital in the field of medicine. If you have missed reading the various uses of stem cell, please click the link below to read about the uses. Stem Cells are those cells which are capable of forming new cells of the same variant and then can develop themselves into various other variants based on the type of the tissue they live in. These stem cells are mainly extracted from the cord blood (Also Read: Cord Blood Banking). The cord blood are those which are taken from the umbilical cord of a newborn infant at the time of delivery of the baby. They are usually preserved in the blood banks and are used for in the future for patients suffering with certain medical ailments. Stem cells have the capacity to revitalize themselves after remaining idle for a long period of time and also they can easily attain the above mentioned work with the process called cell division. Under stipulated conditions, they have the ability to change themselves by closely associating with the other organ or tissue based cells. There are also some specialized regions where these stem cells automatically diffuse the worn out cells and create new cells in regions like the bone marrow and the gut. In specific organs like the liver and the kidneys, they have the capability to do all the process only under specialized conditions. The stem cells can be classified into the following types based on the functions they perform and they are as follows. The initial discovery of these variants of stem cells were evolved from the embryos of the mouse few decades ago, which paved the way to derive the stem cells from the human beings too in a similar fashion. The in-vitro fertilization techniques were used to derive these types of stem cells in the human body. The non-embryonic stem cells also called as the adult stem cells are capable of regenerating themselves to any organs in the body based on the layers of the tissue and has the capability to destroy the dead tissues and form new tissues on the same region. These stem cells are also called as the somatic stem cells. A decade ago, there were reports which revealed that there can be formation of new cells in the body and they can be programmed to perform even some other function than its original task. Hence, some adult Stem cells were allowed to form a group and were reprogrammed based on the genes which entirely performed different functions altogether, which led to the invention of induced Pluripotent Cells. There are many reasons which can be cited, which proves to make the stem cells so important for mankind. When the embryo becomes a week old, they produce the cells to the egg individually for each organs in the body which is capable of expanding itself into new cells on its own and forms new layers of tissues. Since they possess the property of regeneration, they are very much helpful in curing various diseases like the diabetes and the coronary artery disease which is usually called as the heart disease. Cell based therapies are also performed with the help of these stem cells which helps in curing several diseases like the leukemia and other cancer cells, they also play a vital role in eradicating the possibility of occurrence of malignant tumor cells after the chemotherapy, which has gained them a name called therapeutic medicine. Even though , there are only limited number of diseases which can be cured either temporarily or permanently with the help of stem cells, researches are being processed to find out the possibilities of exploring new options to eradicate various other diseases. The stem cells which are usually taken from the umbilical cord of the new born baby, are mostly preserved by their families for the future use by themselves either in a public or a private donor banks. In these banks, the stem cells are kept in a cryogenic bag and are frozen up to nearly -2000 Degree Celsius, to maintain the freshness and to preserve the capabilities of these stem cells.